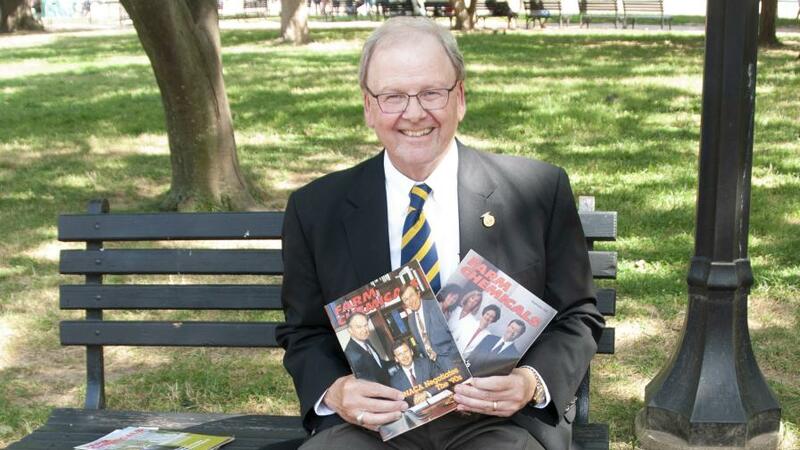 Jay Vroom holds two of the many covers of Farm Chemicals magazine, CropLife’s legacy brand until 2001, that featured CropLife America chairpersons during his three decades of service. Dating back to the 1950s, when it was called the National Agricultural Chemical Association, the incoming chairpersons were featured on the cover annually. And for more than 40 years, the editorial lynch pin in this relationship was Charlotte Sine. Char provided an important and influential voice to the distribution channel as well as crop protection manufacturing. 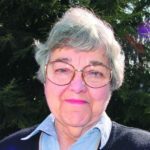 She observed, reported, and editorialized on everything from Silent Spring to the formation of the EPA to the Food Quality Protection Act, providing reasoned and rational perspective. And she knew everyone. There have only been four presidents of CropLife America over the years, and Char knew all of them personally, including Jay Vroom. We asked her to tell the story of Jay’s tenure at the organization, mixed in with some personal anecdotes and experiences. We, like Char, appreciate Jay’s contributions and wish him all the best in his future endeavors. Jay has given 110% from Day One. Make that 150%. He’s always done that, it’s just part of his makeup. He’s not flamboyant, he’s not a glad-hander, nor one to grab all the credit when victories are achieved — or try to avoid blame when failures happen. Most of all, he’s a great communicator and a guy with a knack at getting people with diverse, often conflicting interests to work together. It’s a lesson he learned in his youth as a member of 4H and later FFA. After several years, Jay left to become Chief Executive of the Merchants Exchange in St. Louis, then six years later was named head of National Fertilizer Solutions Association (now Agricultural Retailers Association [ARA]). In 1989 he was approached by Keith Boyer of Brayton Chemical to join the National Agricultural Chemicals Association, CropLife America’s original name, as Vice President of Communications, becoming President when Dr. Jack Early retired. “He convinced the board I was the right choice. So, ‘Thank you, Keith.’ You’re responsible for these last 30 years,” Jay says with a smile. Jay took command of a streamlined operation in 1989, following a reorganization that created Oversight Committees on Public Affairs, Science and Regulatory, and Legislative and which sunset all but four of 39 standing committees (Law, Washington Representatives, State Affairs, and International.) “We were clearing the decks of a somewhat convoluted committee structure to be able to react more quickly and efficiently,” he says. Another important step — reaching an accord with TFI to work together on projects to support retail dealers and their state and regional associations with the primary focus on legislative and regulatory issues. Sine is editor-at-large at Meister Media Worldwide, parent company to CropLife and CropLife IRON magazines. See all author stories here.